Abaco Hosting and UKWindowsHostASP.NET, both are two major hosting providers in the web hosting business. Both are well experienced and have been in the industry for a long time now. With cheap and reliable hosting plans it can be a tough choice to choose one among the both. Here is a detailed comparison between Abaco Hosting and UKWindowsHostASP.NET comparing all their features and factors. ABACO Hosting is an Internet services company since 2007, they have solutions for small and medium businesses, from Email Hosting, GeoLocated Hosting Linux & Windows, Reseller, VPS, Cloud, WordPress Hosting, SSL, Security, Servers and a portfolio of +500 domain extensions available. 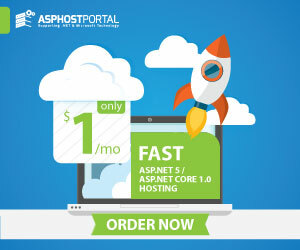 UKWindowsHostASP.NET is one of the best UK ASP.NET Hosting providers that offer the most affordable world-class ASP.NET hosting solutions for their customers. They provide shared, reseller, cloud, and dedicated web hosting. They currently operate servers in four prestigious cities in Europe, namely: London (UK), Amsterdam (Netherlands), Frankfurt (Germany), Paris (France). When comparing the plans and features of two web hosts other factors such as quality of hosting, uptime and transfer speeds must be kept in mind. In this point we will be comparing all the plans and features offered by Abaco Hosting and UKWindowsHostASP.NET to its customers side by side. Starting with Abaco Hosting, It provides the most basic ABACO WINDOWS US 1GB plan as its base plan which costs around $27/year. This plan provides the customers with one website and 1GB worth of storage. The bandwidth in this plan is 10GB and unlimited email account, they also offer free SSL (Let’s Encrypt). Their datacenter only in Texas. In UKWindowsHostASP.NET’s case, users get the base STARTER plan for £2.99/month, this plan provides 1GB disk space with 20GB bandwidth. Users can also host 5 domain and unlimited Email accounts in this plan. They have 6 datacenter location such as London (UK) Data Center, Amsterdam Data Center, Paris (France) Data Center, Frankfurt Data Center, Washington Data Center, and Chennai (India) Data Center. Abaco Hosting has its mid-range plan as the ABACO WINDOWS US 20GB plan which costs $36/year and provides one website and 20GB of storage along with 150GB bandwidth. You also get free SSL (Let’s Encrypt) and unlimited email account. Around this price range, UKWindowsHostASP.NET provides its ECONOMY plan which costs £5.99/month and provides up to 50 domains along with 5GB disk space and 50GB bandwidth. It also provides unlimited Email accounts and you also get free 2 mailing lists. The ABACO WINDOWS US 100GB plan of Abaco Hosting costs $45/year and still provides 1 website only with 100GB storage and 900GB data transfer along with free SSL (Let’s Encrypt). This is an ideal plan for regular website owners. UKWindowsHostASP.NET provides it DEVELOPER plan for £8.99/month and gives unlimited websites, 20GB disk space and 100GB data transfer and unlimited email accounts and also includes free 5 mailing lists. Abaco Hosting also has one last ABACO WINDOWS US UNLIMITED plan costing $62/year which provides only one website, but with unlimited storage, bandwidth, email account. In UKWindowsHostASP.NET’s case, users get the ENTERPRISE plan for £16.99/month, this plan provides an unlimited website, disk space, bandwidth and email account. Users can also get 10 mailing lists in this plan. They have 6 datacenter location such as London (UK) Data Center, Amsterdam Data Center, Paris (France) Data Center, Frankfurt Data Center, Washington Data Center, and Chennai (India) Data Center. Only cheap hosting plans are not worth the steal. Performance and speeds also matter equally when choosing any web host. Here we will compare two websites, one hosted on Abaco Hosting shared hosting and the other one hosted on UKWindowsHostASP.NET shared hosting. We will test all the statistical data such as ping, response time and data transfer rates. As you can very clearly make out from the given test results that website hosted on Abaco Hosting scored an C+ which is a not good score for a shared web hosting service. Whereas website hosted on UKWindowsHostASP.NET also scored an A which is a very good score for a shared hosting service. Clearly, these scores depict that UKWindowsHostASP.NET has much better performance than Abaco Hosting. The US server response time for UKWindowsHostASP.NET is 1 ms whereas for Abaco Hosting it is 223ms which is pretty much. The maximum time taken by UKWindowsHostASP.NET is 192 ms from the Sao Paulo location whereas as Abaco Hosting took a whopping 340 ms on the same server location which clearly depicts UKWindowsHostASP.NET as the winner in this comparison. Average 6-month uptime for UKWindowsHostASP.NET ASP.NET Hosting (tested for 10 sites based in different parts of the world):99.99%.That means your site would possibly be down almost 4.4 hours over 6 months of service. Average 6-month uptime for Abaco Hosting (tested for 10 sites based in different parts of the world):99.83%. For Abaco Hosting, your site would have been down over 33 hours during 6 months of service. 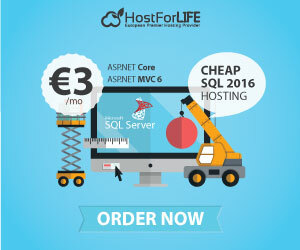 Clearly, UKWindowsHostASP.NET ASP.NET Hosting is superior in uptime statistics. In comparison, Abaco Hosting also claims a 99.9% uptime, but testing shows they don’t often meet that standard. In fact, one independent hosting test site reveals that new users often have slower sites. Abaco Hosting has an uptime guarantee that provides a 5% credit that can only be used to purchase other services within the company. They are the sole authority to say whether they’ve met the guarantee or not. For that reason, new users should do their due diligence to make sure it is the right service for them. UKWindowsHostASP.NET was founded with a specific focus on customer support. As a result, they have a stellar reputation for answering questions quickly, conveniently and accurately. 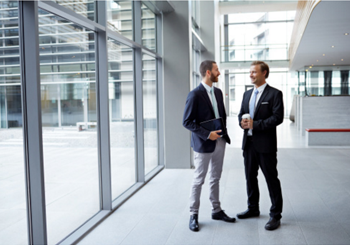 The professional staff gets back quickly with responses to their needs. As for Abaco Hosting, the company offers live chat and email for customers to help them get their problems resolved. Furthermore, Knowledge Base and Community Forum are also provided to customers to diagnose problems by themselves. Considering the facts and figures we have mentioned here in this article, we can say that the both the hosts i.e Abaco Hosting and UKWindowsHostASP.NET are good and can be considered for hosting a website. Although UKWindowsHostASP.NET has a slight edge over Abaco Hosting. Not only UKWindowsHostASP.NET pricing is cheaper than Abaco Hosting but the over all performance and uptime is also better. The quick support also makes UKWindowsHostASP.NET a preferred choice for small businesses and individuals who need a quicker response.